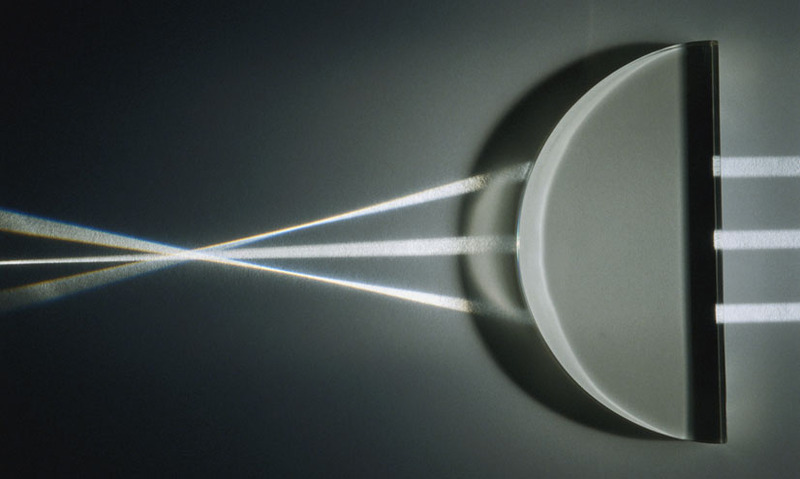 In optics, the point at which rays of light converge after refraction or reflection, and so the point at which a sharp image will be produced. In optics, the point at which rays of light converge after refraction or reflection, and so the point at which a sharp image will be produced. Because different wavelengths of light are refracted differently, a lens will not bring all colours of light to focus at quite the same point, leading to a slight blurring. Mirrors do not have this problem. Because different wavelengths of light are refracted differently, a lens will not bring all colours of light to focus at quite the same point, leading to a slight blurring. Mirrors do not have this problem.